RedisGraph is a property graph database module for Redis. 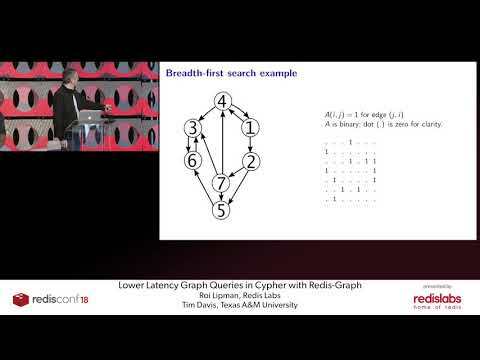 It is the first graph database to use linear algebra on sparse adjacency matrices to implement graph operations, which lets it achieve high performance. It understands OpenCypher queries. RedisGraph is available at no cost under a license that allows commercial use, but prohibits selling the software. RedisGraph was added by dbohdan in Nov 2018 and the latest update was made in Nov 2018. The list of alternatives was updated Nov 2018 There is a history of all activites on RedisGraph in our Activity Log. It's possible to update the information on RedisGraph or report it as discontinued, duplicated or spam. AllegroGraph is a high-performance, persistent graph database. AllegroGraph supports SPARQL, RDFS++, and Prolog reasoning from numerous client applications. Dgraph is a low latency, high throughput, horizontally scalable and distributed graph database with ACID transactions. Graph-tool is an efficient Python module for manipulation and statistical analysis of graphs and networks. An embedded transactional graph engine for Python backed by a LMDB file. Works with Python 2.6, 2.7 and 3.x. GraphStack ™ is the name for the Neo4j Enterprise open source distributions compiled and packaged from the official Neo4j Github Repository by the Graph stack.io Team. Graph Engine (GE) is a distributed, in-memory, large graph processing engine, underpinned by a strongly-typed RAM store and a general computation engine. . Alternatives to RedisGraph for Linux, Windows, Mac, Web, BSD and more. Filter by license to discover only free or Open Source alternatives. This list contains a total of 14 apps similar to RedisGraph. Maybe you want to be the first to submit a comment about RedisGraph? Just click the button up to your right!